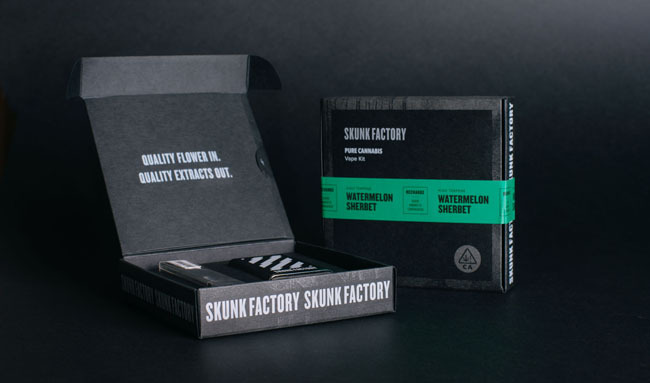 As cannabis brand, Skunk Factory prepared to launch into the market, they asked design agency Noise 13 to create packaging for their handheld vape kit, cartridges, and forthcoming flower. 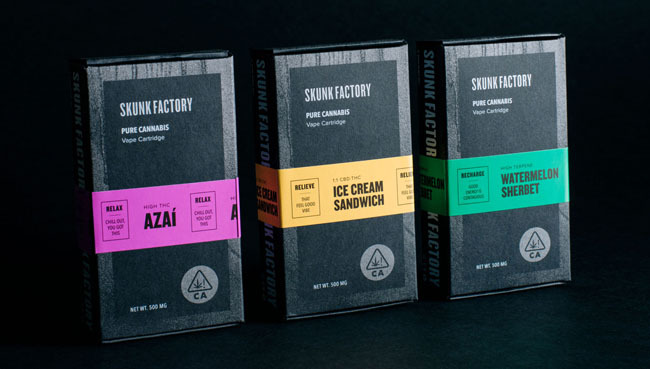 With Skunk Factory’s street style aesthetic as inspiration, the team at Noise 13 built a brand identity that showcases their bold, ambitious, and unapologetic attitude – one that will appeal uniquely to their base of younger cannabis consumers. 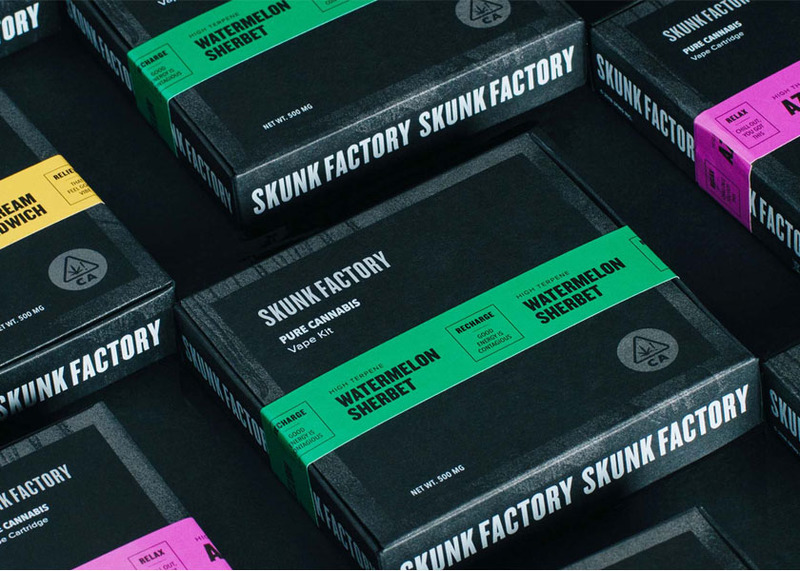 One of Skunk Factory’s primary goals was to elevate their packaging to highlight the product quality. Noise 13 developed the base packaging using a sleek, uncoated black paper stock with a palette of black, white and metallic silver. 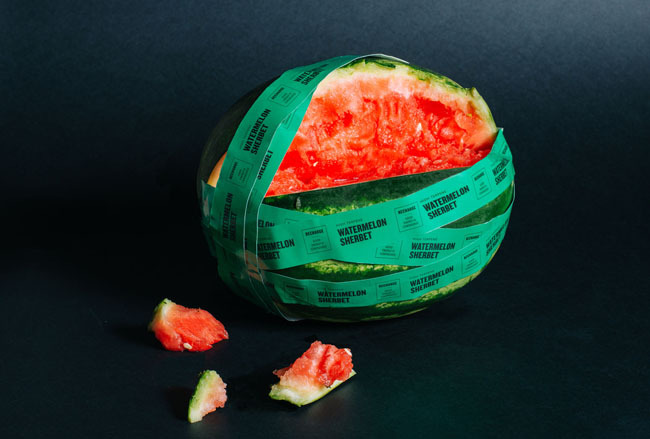 For the flavor indicator, Noise 13 was inspired by caution tape. 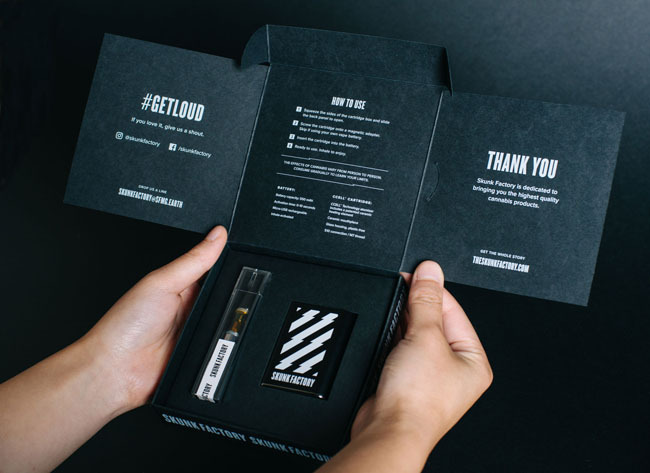 By repeating stripes and text – mimicking street signs and streetwear fashions – and incorporating pops of bright color with a glossy sticker, they were able to punch up the look and feel of the brand.